Alibaba Group will likely report that Q4 revenue grew 26.6%, the slowest rate since it began reporting more than three years ago, according to analysis by Thomson Reuters. That growth is well behind the 47% to 51% revenue growth expected from JD.com for the same period, Reuters reports — the weakest growth since JD.com began reporting. It’s not a straight comparison because the two Chinese retail giants report GMV differing. Still, JD.com’s 82% GMV growth in the first nine months of last year handily surpassed Alibaba’s 34%. Alibaba appears to be facing increasingly stiff competition from rival JD.com, which like Alibaba has worked to boost sales from foreign retail companies in China. While Alibaba has talked in recent months of the potential of reaching consumers in rural China, JD.com has focused on reaching the more affluent shoppers in urban areas. While it’s true that e-commerce is increasingly important in more remote areas of China, income there remains low, as does spending, and China’s recent economic turmoil is likely slowing down growth. In addition to its focus in more rural areas, Alibaba continues to face problems over sales of counterfeit items, more so thanJD.com, an issue of increasing important not just to retailers abroad and the U.S. government, but also to wealthier Chinese shoppers. And JD.com enjoys a positive, Amazon-like reputation for fulfillment. “[JD] have faster shipping speeds, and the quality is more trustworthy,” Zoe Li, who works at a tech start-up in Beijing,told Reuters. A number of luxury brands have launched ecommerce sites in China within the past year, but online shopping still feels like risky business to many of the country’s consumers, according to a new report by FDKG. FDKG’s “Luxury Insights China 4th Quarter” report explains that with less regulation of online sales in China, consumers may have to endure a drawn out dispute if items are not delivered as promised, making each purchase a consideration of not only spending budget, but a weighing of how much can comfortably be lost. While some may still opt for an in-store purchase, a growing interest in online shopping within China is evident in the $14 billion in transactions during Single’s Day Nov. 11. Luxury brands traditionally eschewed online channels, believing that they would risk eroding their brand positioning. Because of this, luxury labels that have opened online selling in China, such as Cartier, have tended to do so quietly. 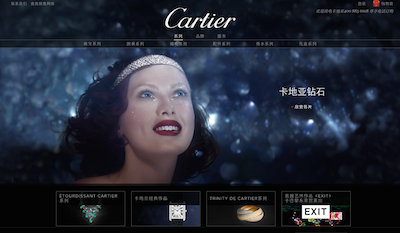 Cartier sent out a single WeChat message to its followers, choosing to keep the news within the community it has developed on the platform. While luxury brands traditionally dealt in exclusivity and serving the few through their boutiques, this only works when sales are strong. Having an ecommerce site that lists prices may help make infrequent or first-time buyers feel comfortable walking into a store. Transparency may also spur local purchases, if a Chinese consumer can see that the price does not differ much between their city’s boutique and one in Europe. As far as consumers’ comfort in shopping online, Luxury Insights China references a survey by KPMG, which revealed that for products under 4,200 RMB, or about $641, they felt confident making a purchase online. This was up from 1,200 RMB the year before. When shopping online, the Chinese consumer prefers cash on delivery as her payment method, allowing her to know she got what she ordered before shelling out money. However, the most preferred purchase path is still going to a store to pick up an item, since it removes any uncertainty from the process. With the right incentive, Chinese consumers will choose to spend online. Nov. 11, on which the shopping holiday Singles’ Day is celebrated, broke records. Over 24 hours, Alibaba saw $14 billion in sales, a 60 percent growth from the previous year. Alibaba’s Tmall created Singles’ Day seven years ago as an excuse for those without significant others to treat themselves. Playing into the deal-loving nature of Chinese shoppers, the day boasts extensive sales across categories, expanding to include even automobiles, apartments and furniture. Consumers often wait specifically for the 30, 40 or 60 percent discount to drop the price on items they eyed earlier online. This year, a number of U.S. retailers joined the action through a partnership with Dealmoon (see story). Indeed, the U.S. was the top import country during Singles’ Day, followed by Japan and Korea. Online and offline shopping has also gotten easier in China thanks to Alipay, Alibaba’s finance division, which has become a preferred payment method. 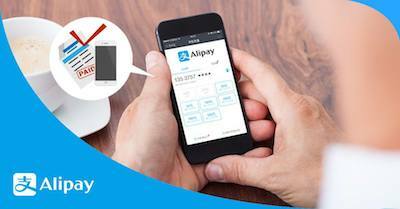 Chinese consumers can link up their bank account to Alipay by using their mobile phone, and then use it as payment. To further spur Alipay use, Alibaba launched a follow-up holiday Double 12, held on Dec. 12. Again reaching out to bargain-loving consumers, the day promises discounts at stores, restaurants, movie theaters and more when they use Alipay to complete the transaction. While this worked to draw out the millennial crowd, more than 900,000 of the 28 million purchasers on Double 12 were in their 50s or older, many of whom learned how to use Alipay specifically to participate. In general, the mobile phone is replacing the wallet in China due to its simplicity. Having an ecommerce site to serve the whole country is also more cost effective than opening stores in every potential market. Because of the rise in ecommerce, a number of brands, including Armani, Ferragamo and Chanel, have reduced the number of storefronts they operate in the country, finding the right balance between in-store and online. Shenyang, a city in the northeast of China, has the third highest number of luxury stores in China despite a weaker economy than other Chinese cities. In the 1970s, the Liaoning province, of which Shenyang is the capital, saw an industry value added of 9.3 percent, making it second among all provinces in China. With added affluence, Shanyang became a prime destination for luxury brand stores and malls. Today, 100 luxury stores sit on one four-mile street known as The Golden Corridor, but this may change. Liaoning’s industry value added in 2014 was only 4.5 percent, partly a result of industry growth across the nation and also due to the nation’s shift away from heavy industry as it invests more in service and finance. Louis Vuitton, which had four stores along The Golden Corridor, has not renewed its lease for its oldest boutique in Shenyang. Other retailers, including Dior and Burberry, have simply chosen to move to a different part of the city, showing they still have faith in the capital. Four different international mall operators have left the city since 2010, after many had trouble keeping their storefronts occupied. Consumers may travel up to two hours to shop in Shenyang, since it has a high density of luxury stores. These shoppers behave differently than their southern counterparts. Whereas coastal consumers might weigh a luxury purchase heavily, those in Shenyang make decisions more quickly, since their purchases are more often driven by a desire to keep up with the crowd. This may shift, as the younger generation especially becomes more sophisticated and informed through the Internet. Rather than buying big logos for status, they are more open to lesser-known brands. Even with a faltering economy, Chinese consumption is projected to rise $2.3 trillion by 2020, according to new research by Boston Consulting Group and AliResearch Institute. Households with disposable incomes of $24,000 or more will drive 81 percent of consumption growth through 2020, creating demand for high-end goods and services. With rising incomes, a younger generation gaining spending power and growing ecommerce expenditures, brands will need to adjust their strategies (see story). While some retailers are quick to blame China’s anti-graft measures for their lack of success in the industry, ultimately failure is often the result of lack of research and an inability to understand the complexities of the market. In order to be successful in China, luxury brands must adapt to consumer preferences and target retail and marketing strategies to appeal to the Chinese consumer (see story). PostNord Denmark announced it entered into a new collaboration with Alibaba Group. As a result online retailers in the Nordics should reach Chinese consumers easier and cheaper than before. And in turn, parcel volumes from the Nordics to China will increase, the postal operator says. For Alibaba the collaboration is a way to give Chinese consumers access to high-quality products. “Danish and Nordic brands will now be exposed to the more than one hundred million Chinese consumers who visit our platform in search of unique, international products”, Amee Chande, who is Alibaba’s country manager for the UK/Ireland and the Nordic region, explains. PostNord Denmark already experience with partnering with a Chinese company. For some time the postal company has been working with China Post, whose portal Ule.com served as a gateway for several Danish online retailers who wanted to enter the Chinese ecommerce market. Alibaba on the other hand, has been working with other national posts, for example fromAustralia and the United Kingdom, to establish similar country platforms on its shopping portal Tmall Global. In November 2015, it announced a partnership with several top brands in the Netherlands. When the Chinese Communist Party targeted clean energy in its 11th Five Year Plan (2006-2010), the resulting investment spree upended the global clean energy market almost overnight. Now, as China approaches its 13th Five Year Plan, a new policy dubbed “Internet Power” is emerging as a central theme and is already beginning to influence an even more critical sector: global technology. “Internet Power” (wangluo qiangguo) is a multifaceted strategy that promises to deliver significant state support to the nation’s domestic technology industry while also seeking to influence global Internet governance and opinion. The latest iteration of China’s decade-old strategy of promoting indigenous innovation, “Internet Power” signals that the Party is no longer just reactive to the existential threat of the Internet; it is now seeking to utilize it for its own economic and political ends. In 2013, the Party conducted a major reform of China’s Internet policymaking organs, creating a Central Leading Group for Cybersecurity and Informatization. This group is led by President Xi Jinping and tasked with developing broad Internet policy. In conjunction, the previously under-utilized State Internet Information Office was renamed the Cyberspace Administration of China (“CAC”) and empowered with regulating online content. Cybersecurity and informatization concern national security and national development, and are a major strategic issue for the work and lives of the masses. [We] must … seek innovation and development, working hard to build our nation as a strong Internet power. At first, Internet Power was mentioned only in journals of Party theory, but later the concept received significant attention in Chinese media following its insertion into the November “2015 Guidelines for the 13th Five Year Plan” and into President Xi’s December 16 keynote speech to diplomats and representatives of major tech companies at the second World Internet Congress in Wuzhen, China. State media reports in December indicated that Internet Power will be one of the key strategic policies in China’s forthcoming 13th Five Year Plan. Under China’s unique blend of authoritarian capitalism, the Five Year Plan plays an important signaling roll for the nation’s economic stakeholders (think of a Janet Yellenpolicy speech, writ large). Banks, local officials, large companies, and entrepreneurs all know to take their cues from the Five Year Plan to show conformance with Party requirements and bolster their economic fortunes. Though it has yet to be defined explicitly, state media commentary examining and effectively promoting the policy typically has discussed Internet Power in conjunction with four major themes: cybersecurity, economic development, soft-power, and cyber-sovereignty. Will China’s New Anti-Terrorism Law Mean the End of Privacy? 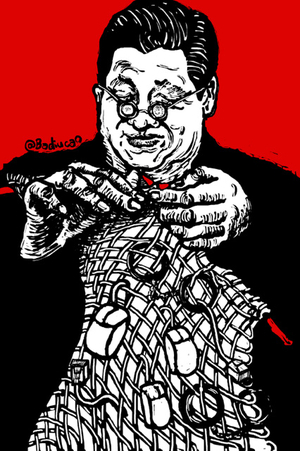 “Cybersecurity,” however, has been used by the Communist Party to increase its supervisory powers. For example, an Anti-Terrorism Law passed in December 2015requires companies to assist P.R.C. government authorities in carrying out terrorist investigations by providing “technical interfaces” and “technical means of support” as well as encryption keys for any data located on their private computer servers. China also has promulgated a new national security law and several industry-specific regulations that call for technology imported into China for use in certain sensitive industries to be “secure and controllable”—an imprecise term that multinationals and industry groups fear may be used to force foreign companies to install back doors or hand over source code. Although multinationals have been partially successful in pushing back against these provisions, they face an uphill battle given the centrality of cybersecurity to Chinese national security policies. These collective efforts also are hampered by some international technology firms’ apparent willingness to deliver technology to China in exchange for market access, even when such transfers may implicate national security concerns back home. China’s desire to become an Internet Power also has a significant economic component. As China seeks to transition its economy away from investment-led growth toward growth fueled by consumption, the Party has recognized that Internet Power may be the nation’s best hope of ensuring sustained economic growth and national prestige. This hope includes the recently introduced concept of “Internet Plus,” which seeks to promote Internet technologies such as big data and cloud computing as a means to transform and upgrade traditional industries. In July, the State Council published an Internet Plus Action Plan that calls for greater adoption of cloud computing, the mobile Internet, big data, and the Internet of Things, and asks Chinese Internet companies to increase their international presence. This plan is augmented by the “Made in China 2025” plan, which seeks to promote advanced technologies to help turn China into a “green and innovative” world manufacturing power in the next decade. China also has announced plans to invest 2 trillion RMB (U.S.$323 billion) by 2020 to upgrade its national broadband and 4G capabilities, with the intention of providing Internet access to its entire population. As reported in China Daily, “these policies have formed the major content of the Internet power strategy and will be conducive to realizing [China’s goal] of becoming an Internet Power.” Together, these policies suggest a concentrated application of state power, funding, and incentives to reshape China’s domestic economy. Although concrete targets have yet to be set, we can expect to see further details in the upcoming Five Year Plan and its future implementing regulations. China’s governing elites have long sought to grow the country’s soft power, or the “ability to shape the preferences of others through appeal and attraction.” With the global reach of the Internet, China sees a new potential channel for this dream. China’s most recent, and perhaps most significant, soft power push began in 2011 when the Party devoted a plenary session to the topic of culture, concluding with a “communiqué declaring that it was a national goal to ‘build our country into a socialist cultural superpower.’” Following that session, government and private actors embarked on a global media buying spree, further expanding the presence of China’s state-run CCTV news channel while also completing a number of global media acquisitions, including Wanda’s purchase of the AMC movie theater chain and Alibaba’s recentacquisition of Hong Kong’s South China Morning Post. These efforts are set to continue. In the 13th Five Year Plan guidelines, the Party explicitly calls for the government to use the Internet to promote soft power, stressing the need to “strengthen online ideological culture, carry out the building of Internet content, develop a vigorous and progressive Internet culture, and purify the online environment.” These efforts likely will result in further state and private investment in online media to promote Party narratives across the globe, along with a continued domestic crackdown on content considered “unhealthy” by the Party. The full plan is expected to be released in March. China is continuing its efforts to institute the principle of “cyber-sovereignty” as a global regulatory norm. Cyber-sovereignty is a concept that holds that national governments should have the right to supervise, regulate, and censor all electronic content transmitted within their borders. By empowering national governments to regulate online content, this approach sharply differs from the multi-stakeholder approach to Internet governance, which long has viewed the Internet as best governed by a coalition of stakeholders including governments, business, civil society, and technology experts. Cyber-sovereignty now is the dominant objective of China’s international engagement on Internet governance. It is the focus not only of a sustained diplomatic campaign in the U.N., but also the main theme of President Xi’s keynote speech at the World Internet Congress. By pursuing cyber-sovereignty with such vigor, the Chinese government hopes to legitimize its own top-down control system over the Internet, while also diminishing the long-held role the U.S. has played as the Internet’s principal custodian. At this early stage, China’s conception of Internet Power appears to be an umbrella term for a number of independent policies related to the Internet. Like China’s long-held drive to build a “moderately prosperous society(xiaokang shehui),” Internet Power is a general policy target that can be fulfilled only through the successful implementation of its supporting policies. The inclusion of these policies in the upcoming Five Year Plan indicates the Party’s recognition of the central role of the Internet in promoting domestic innovation and transforming China’s Internet economy into a world leader. Still, as the CAC’s recent ode to Internet power attests, sometimes government master plans need more than just a catchy theme. China’s government-led investment schemes are not without a history of past failure, and Internet Power must successfully navigate the perils of capital misallocation and excess investment if it is to succeed. Chinese online shoppers love American food. Chinese e-commerce juggernaut Alibaba is trying to stoke its sales growth by selling more U.S. products on Tmall, the more upscale of its two big Internet marketplaces. Analysts believe the Hangzhou-based company could boost its revenue by 15% or more by connecting the rapidly expanding Chinese middle class, who are curious about American products, with U.S. brands. Costco mixed nuts: When Costco decided to sell food via Tmall, mixed nuts were one of the first products they shipped. On Singles Day (Alibaba’s version of Black Friday) in 2014, Alibaba sold 3 tons of Costco Nuts on Tmall. This year, Costco sold 245 tons of mixed nuts, in 2 pound bags. On Singles Day in 2014, Costco sold $3.5 million worth of nuts and other merchandise on Tmall. On Singles Day in 2015, it sold $3.5 million in just the first hour. Ben and Jerry’s, Haagen-Dazs, and Breyers ice cream: In the summer of 2014, Tmall conducted what it says was China’s first ever online sale and home delivery of ice cream, using trucks specialized to transport frozen food. 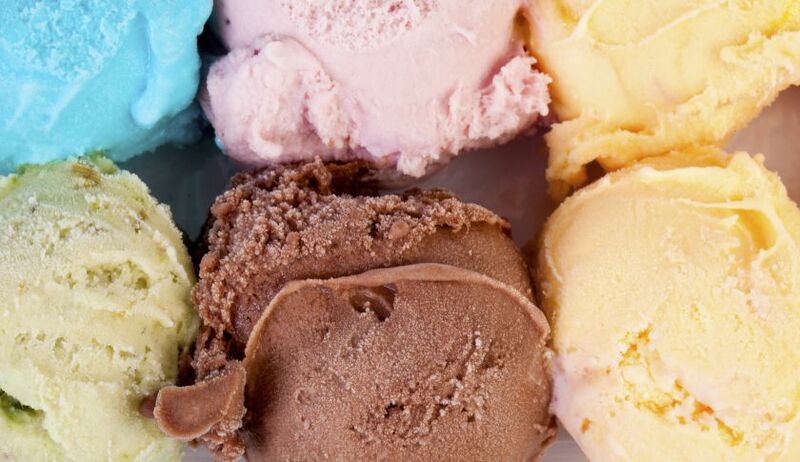 More than 10,000 orders were sold and delivered in the middle of a sweltering summer to more than 210 cities across China, with full refunds guaranteed if the ice cream was not kept frozen throughout delivery. Cherries: In 2013, Tmall.com partnered with U.S. Northwest Cherry Growers to sell 180 tons of cherries to Chinese consumers. Sales increased to 600 tons in 2014. Because of improved logistics, American cherries can be delivered to Alibaba customers as little as 48 to 72 hours after they’re harvested. They’re shipped via plane to Beijing and Shanghai. Apples from Washington State: The Washington Apple Commission is a relatively new seller on Tmall Global. (Not long ago, imported apples were banned by Chinese regulators who feared they would bring outside insects into the country.) In the spring of 2014, the commission held a promotion on Tmall Global to sell boxes of apples grown in rural Washington. The sale sold 5,000 cartons of apples, or sales of $100,000. This year, Chinese consumers bought 7,500 cartons of apples, worth around $150,000 from Singles Day promotions. But shoppers got a surprise: On this year’s Singles Day, all apples sold from Washington State included a QR code, which allows purchasers to scan them with their mobile phone to verify the authenticity of the fruit. Apple Inc. (NASDAQ:AAPL), Alibaba Group Holding Ltd (ADR) (NYSE:BABA), and Gilead Sciences, Inc. (NASDAQ:GILD) are popular stocks to watch as we kick off 2016. With iPhone demand, NDAs, and the rise of mobile eCommerce, analysts have plenty to look forward to this year. Going into 2016, analysts are mostly bullish on the technology giant. Despite recent weak demand for iPhone, specifically from its component suppliers, Ananda Baruah of Brean Capital reassured investors that “supply chain ‘noise’” is not what it seems. The analyst remains bullish on the company and believes that Street estimates through 2017 do not accurately account for gross profit margin, which has the potential to surpass expectations. According to TipRanks’ statistics, out of the 31 analysts who have rated AAPL in the past 3 months, 25 gave a Buy rating while 6 remain on the sidelines. The average 12-month price target for the stock is $145.89, marking a 39% upside from where shares last closed. Another major announcement from the past few months includes positive Phase 3 data from Sofosubuvir/Valaptisir, for the treatment of 6 types of HCV infection, shortly after the company submitted an NDA for the drug. If approved, it would be the first combination single tablet of its kind to treat chronic HCV infection. On November 18, 2015, analyst Alan Carr of Needham reiterated a Buy rating on the company with a $125 price target following the Phase 3 results, stating, “Based on available data, Gilead appears likely to retain its strong position in HCV.” Other recent news from the company includes November’s FDA approval of Genvoya to treat HIV-1 and indication approvals of Harvoni for the treatment of additional types of Hepatitis C.
According to TipRanks’ statistics, out of the 11 analysts who have rated GILD in the past 3 months, 9 gave a Buy rating while 2 remain on the sidelines. The average 12-month price target for the stock is $129, marking a 27% upside from where shares last closed . Alibaba is starting off the year on a positive note as well. On December 14, 2015, analyst Mark Mahaneyof RBC Capital reiterated his Overweight rating on Alibaba with a price target of $195, citing positive survey results from 1,500+ Chinese online consumers. The survey pointed to a “robust China Online retail market and a strong position for Alibaba” and highlighted several advantages and opportunities for the company going forward. After the survey, Mahaney believes that “Alibaba’s China online retail segment is at a monetization inflection point” due to “increased mobile usage,” an improvement in advertisers and suppliers, and “ad product innovation.” According to the analyst, if this mobile monetization continues, shares and estimates will only increase in 2016. According to TipRanks’ statistics, out of the 21 analysts who have rated BABA in the past 3 months, 19 gave a Buy rating while 2 remain on the sidelines. The average 12-month price target for the stock is $95.78, marking an 18% upside from where shares last closed. Woolworths has launched a store on the Alibaba-owned Tmall Global to sell a range of products, including milk powders and baby formula, directly to Chinese consumers. In an effort to capitalise on the growing Chinese demand for high-quality Australian produce, Australia’s largest supermarket chain Woolworths Ltd has launched a shop on the Alibaba-owned Tmall Global. Woolworths engaged China-based e-commerce company eCargo to build and manage the storefront, including coordinating inventory, packing and distribution, and advising on brand strategy and marketing. A Woolworths spokesperson said that a number of Woolworths products were already being sold by other retailers through Tmall. As a result, the Tmall store was established to sell a select range directly to Chinese consumers. The storefront currently sells about 80 products including milk powders, baby formula and vitamins. Chinese demand for foreign milk and baby products has grown massively in the past few years, with black-market-style buying leading to shortages and limits on customer purchases of baby formula in some Australian supermarkets. However, a Woolworths spokesperson confirmed that the sale of baby formula through Tmall was not linked to the recent Australian shortages. The value of online retail in China is expected to more than double over the next three years to reach nearly US$1.5 trillion, according to eMarketer. This massive growth, coupled with China’s increasingly affluent middle-class consumers and growing demand for high-quality food products, means that Australian retailers are gaining access to a huge market, especially as trade restrictions ease between China and Australia. “We believe the food and groceries segment will experience huge growth in the coming years between Australia and China, as cross-border trade restrictions ease and the China-Australia FTA takes effect,” said eCargo Chairman John Lau. Woolworths’ launch on Tmall Global follows a similar move by Australian grocery and liquor wholesaler Metcash, which started selling through Tmall in October 2015. Tmall has been receiving attention from a range of retailers worldwide looking to cash in on the massive growth of China’s online retail sector. Companies like Amazon, Macy’s, Costco, and Germany’s Metro have all recently set up shop on Tmall Global. Alibaba Group Holding Ltd. may be witnessing a slowdown in online transaction growth, yet it can find consolation in China shoppers boosting their budgets for luxury items. Consumers are open to paying as much as 4,200 yuan ($661) for a single item online, according to a KPMG survey released Tuesday. That is more than double the 1,900 yuan reported in last year’s survey and may be a boon to e-commerce companies, including Alibaba and JD.com Inc., facing an economic slowdown in China. Shoppers drawn by pricing and better deals are willing to spend more on everything from premium cosmetics and spa treatments to shoes and handbags, said Egidio Zarrella, a partner at KPMG. The survey comes as Alibaba tries to revive growth through new services and high-end labels while confronting criticism it’s a haven for counterfeits. Alibaba is expecting one of its most important shopping days on Nov. 11, a promotion that saw Chinese consumers spend more than 57.1 billion yuan ($9 billion) last year. The company said it wants to focus on expanding international markets and location-based services this year. Alibaba has signed more international brands, including L’Oreal and Apple, for its e-commerce platforms. In August, it reached an agreement to bring the Macy’s Inc. online store to China. 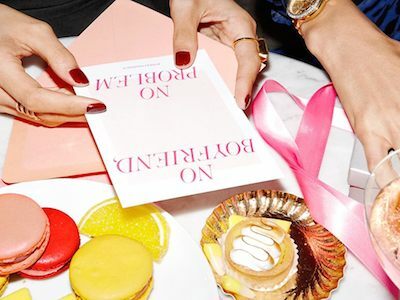 KPMG’s survey, which didn’t name specific brands or companies, also found that almost a third of respondents bought luxury items online at full price. Cosmetics were the most popular products, followed by women’s shoes, bags and leather goods. KPMG based its report on answers from 10,150 people in China. Alibaba’s growth has been hit by a Chinese economy expanding at the slowest pace in 25 years. The company is expected to post 27 percent growth in revenue for the September quarter, according to analyst estimates, compared with average growth of 61 percent during the previous seven periods. Twelve analysts have cut sales predictions for Alibaba in the past four weeks, according to data compiled by Bloomberg. On Monday, the American Apparel & Footwear Association saidAlibaba’s Taobao online shopping platform should be put back on the U.S. government’s “Notorious Markets” list for failing to stop the sale of fakes. Alibaba is willing to discuss the issue with the trade group, the Hangzhou, China-based e-commerce company said in an e-mail. Taobao is synonymous with counterfeits and has been unwilling to make serious reform since it was removed from the list in 2012, the AAFA said in a statement. The office of the U.S. Trade Representative compiles the annual list of “Notorious Markets” to identify counterfeit goods from jeans to car parts. The association objected to the government’s decision to remove the company from the list before its initial public offering. Despite continuous weak growth and even decline in smartphone sales in China, major domestic mobile phone manufacturers still set a “big leap” of shipping target in H1 2015. Although foreign brands iPhone and Samsung still held a large market share, domestic brands as Huawei, Lenovo, Xiaomi and TCL etc. all set their phone sales volume at 100 million units. 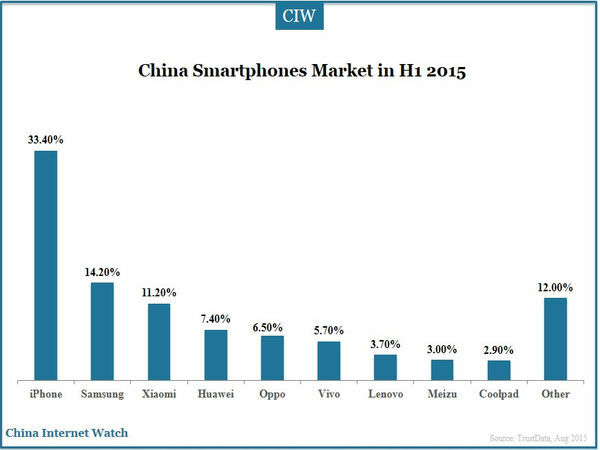 In Q2 2015, Xiaomi was the top smartphone vendor in China by total shipments volume of 15.9%, followed by Huawei (15.7%). Apple ranked third, followed by Samsung and Vivo. China Mobile, China Telecom and China Unicom, the three Chinese telecommunications companies accounted for 90% of the market. Even while Alibaba has its eyes set on global markets to expand its business, a large part of its growth over the next five years will be driven by increased demand in the Chinese e-commerce market. The country’s e-retail market is estimated to grow to over $1 trillion by 2018; by then, it could become even bigger than the combined e-commerce markets of the U.S., Britain, Japan, Germany, and France. The share of online sales in the Chinese retail market is set to increase from 10% in Q2 2014 to over-15% by 2017. In this article, we list out the key growth drivers for this explosive growth in this market. The rapid increase in China’s Internet penetration rate, driven by the rising adoption of smartphones, is one of the main growth drivers in the Chinese e-commerce market. There were more than 360 million online shoppers in China in 2014; this figure, which is even larger than the entire population of the U.S., could grow to over 750 million by 2020, in our view. Further, the trend towards cashless transactions, which is facilitated by more than 4 billion bank cards in China and by the exchange of millions of virtual red envelopes, has further pushed demand in the Chinese market. (Red Envelopes are an app offered by Tencent for transferring money.) The rural areas represent a source for significant long-term growth, on account of the unique online shopping habits of rural users coupled with tremendous scope for expansion in penetration rates in these areas. The reduction in delivery time and expansion in product categories are other factors that will propel demand in the Chinese e-commerce market. China’s Internet Penetration Rate: The total number of Internet users in China crossed 649 million at the end of 2014. This represented 47.9% of the country’s population. The increasing penetration of the mobile Internet, which crossed 85.8% last year, is expected to fuel Internet usage in the country. On the other hand, desktop penetration was lower in China at around 70.8% in 2014. Popularity of Online Shopping: At the same time that Internet penetration rate is rising in China, online shopping is also gaining increased popularity in the country. The percentage of Internet users shopping online rose from 48.9% in 2013 to 55.7% in 2014. We expect online shopping to become even more common in China in the coming future. Hence, we have estimated that online shoppers in China will surpass 750 million by 2020. Smartphone Penetration Rate: The number of monthly active smartphone users in China was seen at 519.7 million in 2014, according to data by eMarketer (a market research firm). 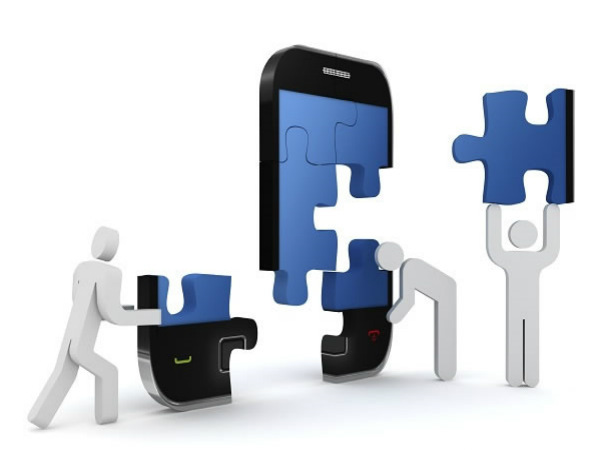 In comparison, the number of mobile communication subscribers in China was recorded at 1.286 billion at the end of 2014. Out of this, 485.26 million were 3G users. The number of monthly active smartphones users in China is forecast to expand to 704.1 million by 2018, according to eMarketer. GDP Per Capita: China’s growing economy has resulted in increased income levels for its citizens. GDP per capita in China rose from $4,433 in 2010 to $6,807 in 2014, according to World Bank. According to certain estimates, the figure could expand by over 6% annually from 2014 to 2020. Hence, an increase in spending power will further fuel demand in the Chinese e-commerce market.Our $97.11 price estimate for Alibaba’s stock, is marginally above the current market price. Ease of Paying Online: Fueled by rapid urbanization and government policies, cashless transactions are fast gaining popularity in China. China has more than 4 billion bank cards in circulation; in addition, tens of millions of Chinese people have exchanged virtual red envelopes through mobile apps. Hence, we expect online payment mechanisms to become even more common in the country in the coming future. Reduction in Delivery Time: Finally, with increasing investments in logistics and warehousing capabilities, this is directly resulting in improved delivery times for online orders in China. Alibaba is reportedly even testing drones to quickly deliver goods within Beijing, Shanghai and Guangzhou. All this is contributing to increased demand in the Chinese e-commerce market. Rural Customers: China’s rural areas represent a source of significant growth for the country’s e-commerce market. We note that the Internet penetration rate in China decreases from over 75% in tier-1 and tier-2 cities, to 47% in tier-3 and tier-4 cities and 19% in rural areas. Yet China’s rural Internet users are even more active on e-commerce sites than their counterparts in urban areas, given the lack of alternative retailing. Hence, the rapid growth of online shopping in rural areas has further augmented demand in the Chinese e-commerce sector.